As expected, the Space Launch System (SLS) successfully passed the major milestone of the Preliminary Design Review (PDR) this week, allowing it to move further towards the implementation phase. Meanwhile, the SLS team are working with JPL in an attempt to promote SLS for science missions – using an unfunded Europa mission for analysis. A far cry from the issues with the Constellation Program (CxP) at this stage of development, the Space Launch System design has so far avoided the major technical and schedule challenges that ultimately resulted in the cancellation of the Ares I rocket. Passing the PDR is a major milestone for the launch vehicle, but also an expected success, following months of pre-PDR work that consistently noted no “RED” concerns – unlike CxP at this stage – during the evaluation of hundreds of documents, weighing in at a huge 15 terabytes of content. The approval to proceed from the element PDRs also provides the green light to push the hardware into preparations for 2015′s Critical Design Review (CDR). However, the rocket will first need to hitch a ride to Washington, DC for a meeting with NASA Administrator Charlie Bolden. This next milestone – part of continuing verification process – is known as Key Decision Point-C, in which the head of NASA, under guidance from the Agency’s hierarchy, is expected to grant the program authority to move from formulation to implementation. Notably, with the PDR passed, SLS has now concluded its initial design and technology development phase, with all element-level preliminary design reviews for the SLS core stage, boosters, engines and spacecraft and payload integration having been completed successfully. 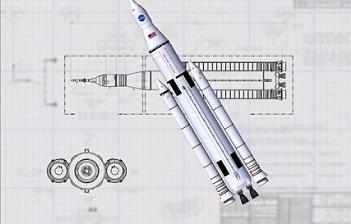 “The review had to be incredibly detailed, so our plans for vehicle integration, flight software, test, verification and operations will result in a safe, affordable and sustainable vehicle design,” said Todd May, manager of the SLS Program at NASA’s Marshall Space Flight Center (MSFC). With the review complete, the SLS Program management will present the findings to Marshalls Center Management Council. If the council concurs with the SLS Program’s recommendation – which is expected – the results then will be briefed to NASA’s Human Exploration and Operations Mission Directorate. A final briefing – known as Key Decision Point-C – will then be presented to General Bolden, who – despite undertaking political direction to delay SLS prior to it finally being revealed to the public – is expected to grant the program approval to move forward from formulation to implementation. Despite the aforementioned delaying tactics, SLS has proceeded without any major issues of note, with what is understood to be around six months of margin ahead of its 2017 debut. “In two short years from the first announcement of the Space Launch System, we are at a milestone that validates the detailed design and integration of the system,” said Dan Dumbacher, deputy associate administrator for the Human Exploration and Operations Mission Directorate. As to how much exploring SLS will enable remains up in the air, with an exploration roadmap still under evaluation, resulting in only the first two missions – both of which were heavily redefined this year – currently on the books. SLS will debut in 2017 – a date created due to political language to support a potential switch to a contingency crew resupply mission to the International Space Station – on what is known as Exploration Mission -1 (EM-1), a flight that originally tasked SLS with a validation mission to loft Orion on a trip around the Moon. This mission has since been placed under a “Change Request” – calling for the replacement of the original Uncrewed “Lunar Flyby Tactical DRM (Design Reference Mission)” with a “Distant Retrograde Orbit (DRO) Tactical DRM”, citing the mission would directly aid the new EM-2 asteroid objectives. EM-2 was changed from a crewed version of the original EM-1 flight – to become part of the Asteroid Redirect Crewed Mission (ARCM) – earlier this year, all part of President Obama’s vision of getting hands on with an asteroid prior to the middle of the next decade. According to L2 sources, EM-3 is set to become a long-duration mission to an asteroid located in deep space. Such a mission would stretch NASA’s understanding on how to complete a long-duration crewed mission ahead of potential missions to Mars in the 2030s. However, EM-3 is being planned as the fourth, or fifth – pending the requirement of additional supporting hardware having to be launched first – SLS mission, along with the first use of the upgraded 105mT SLS Block 1A or B. A third and last flight of the original 70mT Block 1 configuration, albeit a cargo derivative, has always been on the wish list of the SLS team, with L2 notes showing a direct effort relating to using SLS for science missions is currently taking place in conjunction with the Jet Propulsion Laboratory (JPL). The notes show the SLS team are working with JPL via a study relating to a mission to Jupiter’s icy moon, Europa, as a template for analysis. “A preliminary study utilizing a Block 1 SLS as a launch vehicle for a Jet Propulsion Laboratory (JPL) mission to Europa is in process,” added notes in L2. 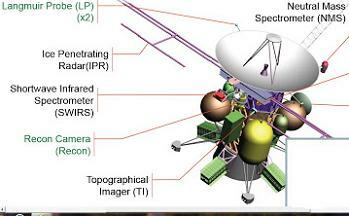 “The purpose of the analysis is to validate the results of a similar study performed at JPL. The study is not an indication of a potential marriage between SLS and a JPL science mission to Europa, especially as the mission itself is not a funded effort at NASA, but more of an effort to advertise SLS’ readiness to become the launch vehicle of choice for heavy mass science missions in the future. “The analysis shows that SLS currently does not have sufficient performance to complete the Europa mission as described by JPL, but is close enough that further analysis and more details on the orbital energy required for the mission may improve performance sufficiently to provide mission closure,” added some of the additional notes. It is understood that – as part of the study – the cargo version of SLS Block 1 would use one or more solid motors as the Earth Departure Stage for such a mission proposal. A Europa mission was originally a target for SLS during in an early 2012 Concept Of Operations (CON OPS) presentation, available in L2. 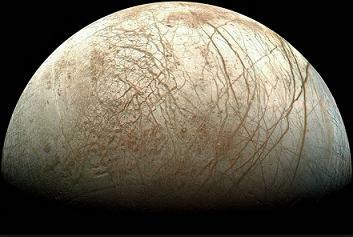 “The SLS could potentially enable sample return from Jupiters moon Europa, because it would have the payload capacity to provide shielding for a lander on the surface, and sufficient fuel for propulsive maneuvers out of the gravitational well of Jupiter,” noted the presentation, which also referenced a mission to Saturn’s Enceladus as another example. 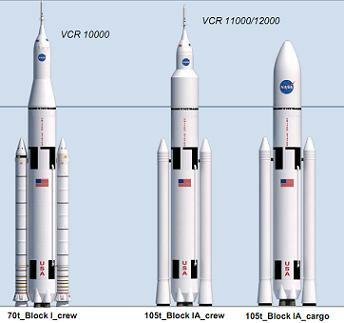 The drive to use SLS as a heavy lift cargo vehicle is essential to the rocket’s viability, with the preliminary manifest showing only one crewed mission is expected to take place every two years. 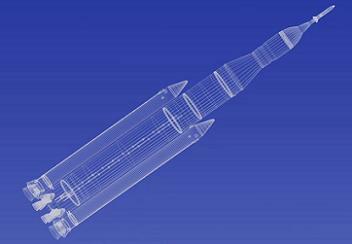 SLS processing is currently optimized to enable the launch of the vehicle once every six months. 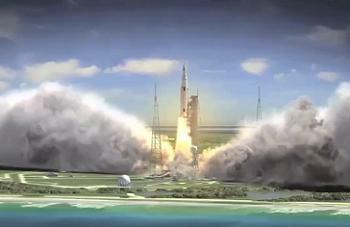 However, with SLS and Orion – along with the NASA’s other flagship programs – using up a large chunk of the Agency’s already-stretched budget, the monetary strain has deeply impacted on planetary science funding, which in turn reduces the opportunities for science missions launched by any rocket, never mind the pricey SLS.